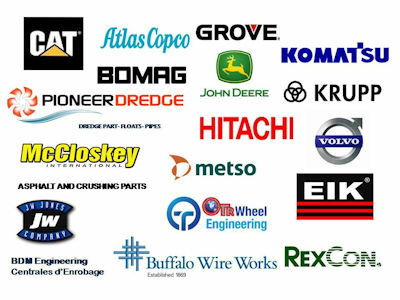 Pioneer Express is a full service parts and technical company for your construction equipment spare parts needs. We supply parts for excavators, cranes and various types of earth moving equipment. If you are experiencing "down-time" because you can’t get the parts you need in a timely manner to put your equipment back to work – contact us. We offer prompt delivery to Africa via air freight within 7 days. Large orders can be shipped via ocean freight. Please send us the part number, serial number and model of machine.